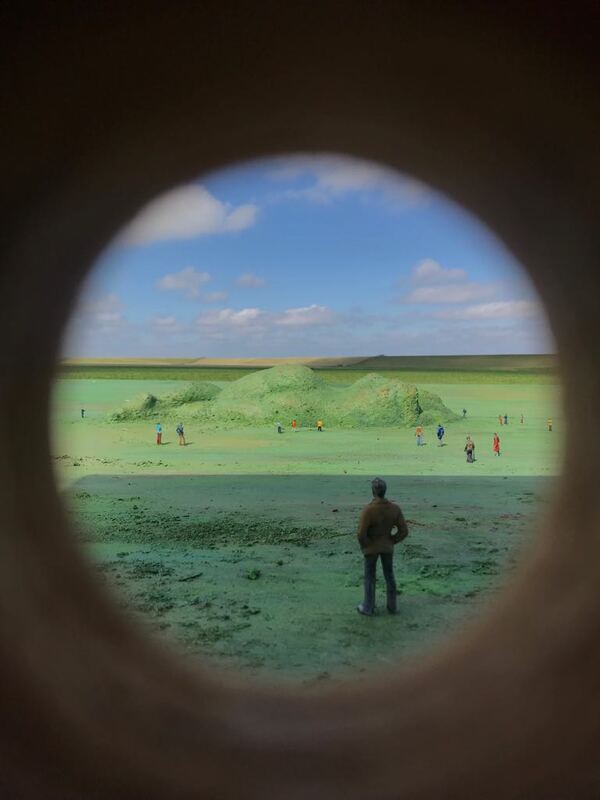 In 2018 Sense of Place organised a tour in the Wadden area to allow you to look at this unique area with new eyes. Joop Mulder, spiritual father of the Oerol festival and creative director of Sense of Place, himself acted as a guide. Joop talked about the uniqueness of the UNESCO World Heritage Wadden Sea Region, about nature & environment, culture, history, water management, and of course about his dream: Sense of Place. A full program of the beautiful Wadden area through the eyes of Joop Mulder. The program started in the morning in Leeuwarden, where a bus left for the Kweldercentrum Noarderleech near Hallum. Upon arrival, an e-bike was waiting for the participants and the tour started through the Wadden area. Joop took everybody along beautiful places and told about the great wealth in terms of nature, culture and history. He showed Sense of Place projects; some already realized, others still under development, and talked about the philosophy behind them. Halfway, a local farmer prepared a special Wadden lunch. The tour ended around 3:30 pm in picturesque Paesens-Moddergat where, after visiting the beautiful village, the e-bike were returned and people were taken back to Leeuwarden by bus.